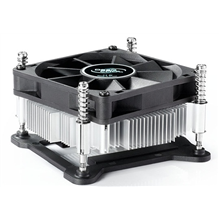 CPU cooler Intel, socket 1155, 92mm fan, hydro bearing, 65W * Ideal thermal solution for Intel LGA 1155 * Radial heatsink with 92mm fan to dissipate heat very efficiently. 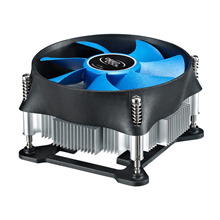 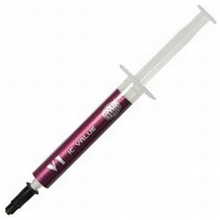 Cooler Master Thermal Compound "GREASE: IC VALUE-VI"
Xilence Cpu cooler I200, Intel, socket 1155/56, 100mm fan, hydro bearing, 82W (TDP) * Ideal thermal solution for Intel 1155/56/50. 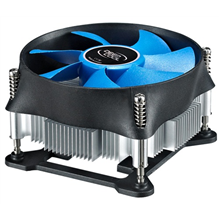 * Radial heatsink with 100mm fan to dissipate heat very efficiently. 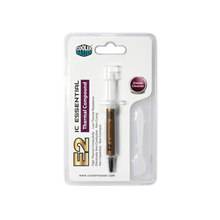 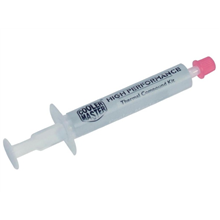 Cooler Master Thermal Compound "GREASE: IC Essential- E2"
Deepcool Cpu cooler Theta15 PWM, Intel, socket 1155/56, 100mm fan, hydro bearing, 95W (TDP) * Ideal thermal solution for Intel 1155/56. 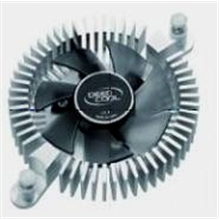 * Radial heatsink with 100mm fan to dissipate heat very efficiently. 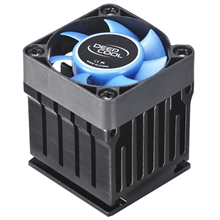 Intel CPU cooler , socket 115x, for HTPC only 37mm high, hydro bearing, 82W * Ideal HTPC thermal solution for Intel LGA 115x * Radial heatsink with 80mm fan to dissipate heat very efficiently.